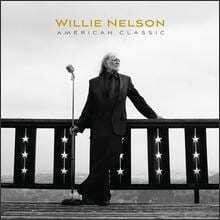 Willie Nelson is working with MySpace Music to promote his latest album, a collection of jazz standards called American Classics being released today (8/25) by Blue Note. He is playing his hometown bar in Maui, Hawaii tonight as part of MySpace’s popular “Secret Show” franchise. The event at Charley’s Restaurant & Saloon will also feature special guest indie rockers Band of Horses. Tommy LiPuma produced the project which features guest vocalists Norah Jones and Diana Krall. It premiered on MySpace, streaming in its entirety beginning Sat., Aug. 22. MySpace is also currently featuring a video about the making of the album here. Up and coming country duo O’Shea is presenting An Affair To Remember on Aug. 26 in celebration of the one year anniversary of their weekly Wednesday night gig at local hot spot Blue Bar. The evening serves as a thank you to the duo’s supportive fans. Doors open at 6:00pm followed by a complimentary champagne toast at 6:30pm. O’Shea take the stage at 7:00pm. No cover charge but table seating is limited. Hailing from Australia, the talented husband and wife team, Mark and Jay O’Shea, are featured in Nashville Lifestyles’ The Hot List issue and recently taped an episode of Words & Music. 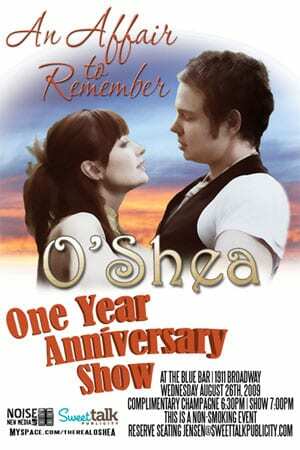 O’Shea made their reality TV debut as one of the Top 5 duos on this year’s season of CMT’s Can You Duet. They balance their weekly shows in Nashville every Wednesday with weekend opening spots for Jimmy Wayne, Sara Evans and The Oak Ridge Boys, to name a few. Kellie Pickler is putting her affinity for shoes to work for a good cause. She continues her support of Soles4Souls Thurs., Aug. 27 in New York City by teaming with Ladies’ Home Journal. She will collect new and gently worn shoes that afternoon before her show at Madison Square Garden. The drop point for the shoes will be the entrance to the Garden and will be open from 5:00 pm – 9:00 pm. Pickler joins her friend Taylor Swift on the Fearless Tour 2009 for the sold out show that night. Nashville-based Soles4Souls collects and distributes free footwear to people in need around the world. Since its inception, the charity has distributed more than 5 million pairs, which equals about one pair every 13 seconds. Jo Dee Messina has added more dates to her successful, intimate Music Room Series Tour. She started the unique shows this spring and has added more dates in October and November. The fall tour will kick off Fri., Oct. 23 in Ft. Pierce, Florida, for an initial run of 14 dates. Modeled after her music room at home, the tour gives fans a chance to view a side of Messina that is rarely seen in her full band shows. Touring with just three musicians, she performs stripped-down versions of her numerous No. 1 singles, favorite covers and songs she’s written but not yet recorded. Each show is driven in large part by audience requests. The debut single and video from newly-signed Black River/Cherry Heart recording artist Ty Williams will premiere Thurs., Aug. 27 on nationally syndicated TV show The Daily Buzz, airing mainly on The CW. “Barn On The Rooftop” will be the first country music video to premiere on the show and it includes appearances by show hosts Kia Malone and Mitch English. Gamma Blast’s Chad Denning directed the video. “Barn On The Rooftop” goes for adds at country radio on Aug. 31 and will be available Sept. 8 on iTunes. Williams’ self-titled debut album is scheduled for release later this year. Broken Bow/Holeshot Records artist and avid motorcycle rider Krista Marie will perform at the opening reception of the 22nd Annual Tennessee Lifesavers Conference 2009 on Wed., Aug. 26. Tennessee Lifesavers hosts around 400 law enforcement, prosecutors, judicial personnel, educators, and others who are interested in learning about highway safety. She is also scheduled to sing the national anthem at the 5th Annual Law Enforcement Challenge in Nashville on Fri., Aug. 28. The Law Enforcement Challenge is a competition designed to recognize and reward the best overall traffic safety programs across the State of Tennessee and across the country.